Whatever frustration you’re experiencing in your business, EMYTH has found the best solutions over three decades, working with tens of thousands of business owners—learning what works and the right questions to ask. As a Certified EMyth Coach, I will show you how to create consistency and predictability, improve your financial metrics and find meaning in your business. When we first talk, you’ll be taken through an assessment of your business so you can agree on your goals for the coaching experience. As you move through the work, you’ll be guided through a variety of processes and tools that address what we see as the seven main dynamics of every business, as pictured above. CLICK HERE FOR A SNEAK PEEK AT WHAT WE’LL COVER (pdf). You’ll develop a new perspective on how to think about the various parts of your company, and develop a set of systems to implement what you’ve discovered and developed. The result is a business that you own instead of one that owns you; a business that produces extraordinary value, consistently, predictably and efficiently, day after day. Lasting change is impossible without accountability. We know how easy it is to get distracted from your long term goals – I will hold you accountable for the results you want along the way. If I do my job, I will end up knowing you better than most by being your trainer, facilitator, motivator, mentor, teacher and maybe most of all, a trusted advisor. My objective is to help you do what is difficult so you can really own your business and steer it to where you want it to go. I will be in your corner for as long as you want, supporting your dreams, and showing you where you get in your own way. With my help, you’ll learn to embody leadership and management skills that inspire others to own their jobs, help you develop great systems, and build a culture where people do great work and they love being there. I will ask you a lot of questions before we even make a mutual decision to work together. And, I may even give you a little quiz or two to take on your own. How Well Are You Managing Your Time? How Effective a Manager Are You? Why Aren’t Your Customers Finding You? 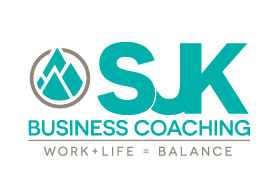 IF YOU’VE COME THIS FAR, YOU’RE PROBABLY THINKING THAT A BUSINESS COACH COULD BE A KEY TO IMPROVING YOUR WORK AND YOUR LIFE TO ACHIEVE AN IDEAL BALANCE. IF SO, TAKE THE NEXT STEP – CLICK HERE AND WE’LL HAVE A CONVERSATION WITH ABSOLUTELY NO COST OR OBLIGATION.